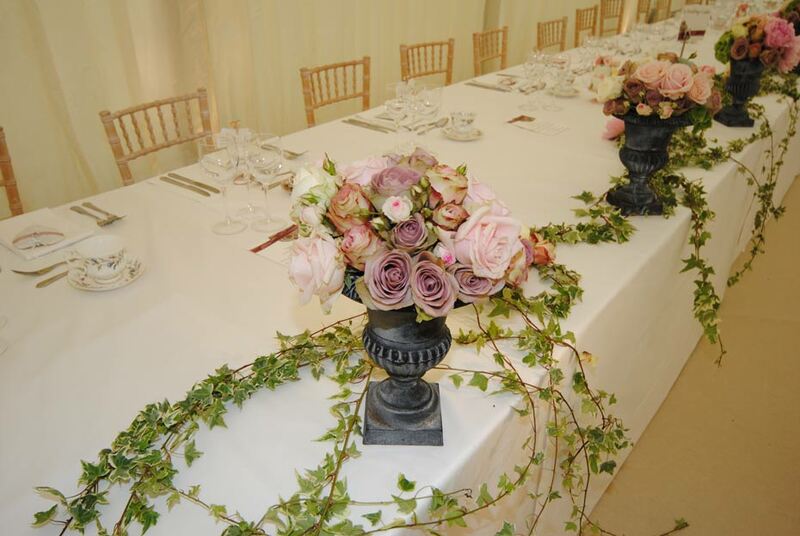 Summer wedding reception in grounds or private house. Space for bar/reception, dining, chill-out, cloakroom with built-in loos and kitchen area for caterers. Classic wedding style with ivory pleated lining, summer flowers and lots of natural light. We used the interior lining to create the impression of two rooms within the main structure. This was a large wedding so we needed to allow enough standing reception space for all the guests in the event of wet weather. The bar/reception area had a separate chill-out annex and led through to the dining area. 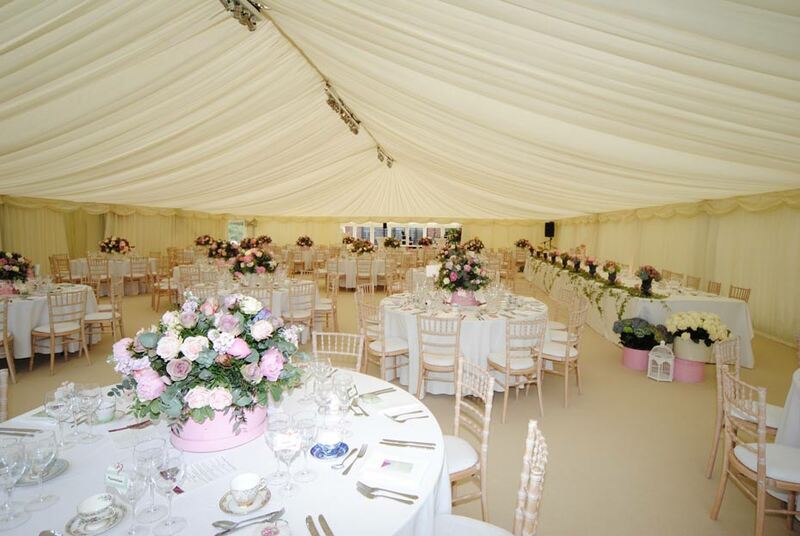 The main marquee had clear gables on both ends and lots of windows to maximise the natural light and give the space a light and airy feel. The loos were built into another structure which also housed a kitchen space for the caterers. 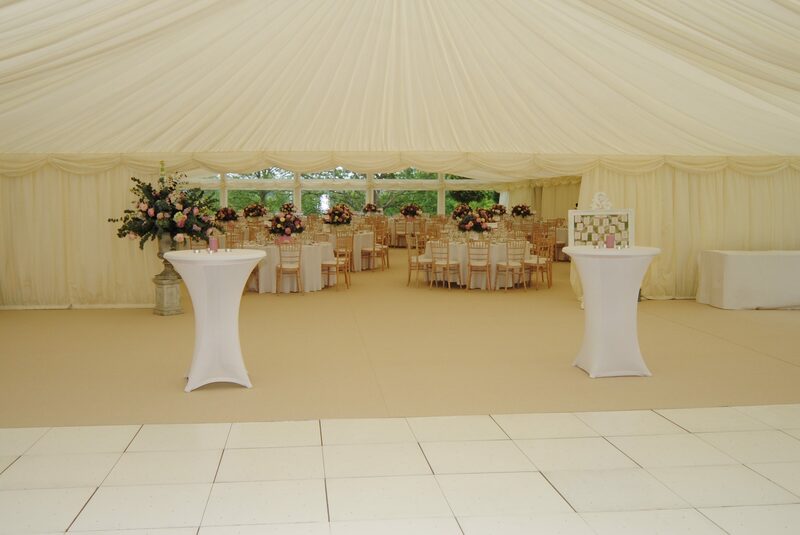 This was a large marquee, with wooden floor, which we built over three days. We could only get the lorries to the front of the property so we brought in a forklift for the duration of the build to move equipment to the installation team on the rear lawn. It took two days to remove the equipment after the event. 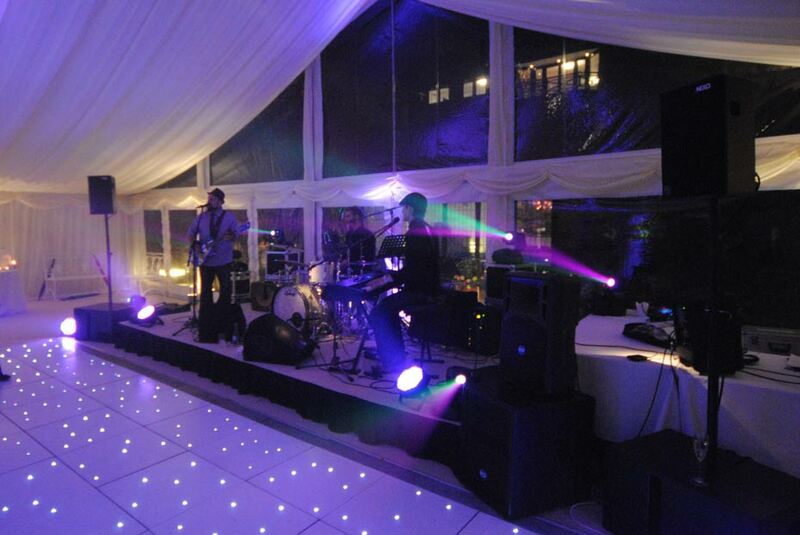 Marquees & Pavilions provided the structures, flooring, interior lining, lighting and electrical distribution. Ginny Loisel Events were the overall event mangers and also arranged the dance floor, furniture, flowers and entertainment.